The Vendéen were developed near Vendée in western France. The breed was developed using Southdown rams, imported during the late nineteenth century, on local ewes. The breed is noted for the production of high quality lamb carcasses. Their face and legs are covered with dark brown to gray hair. Both sexes are polled. 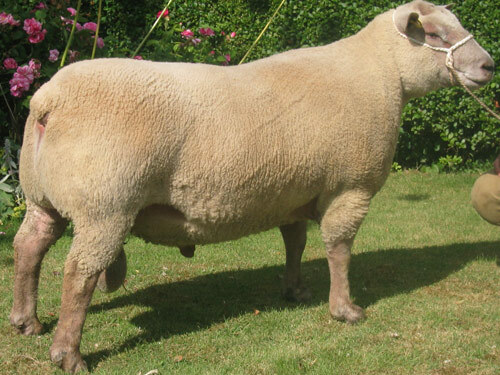 Comparisons in performance between the Vendéen and the Texel showed the Vendéen having larger litter size, older at sexual maturity, and a longer lambing interval. The two breeds are relatively equal in muscularity. The Vendéen exhibited a lower wool yield, daily gain, carcass leanness, and milk yield.